1. 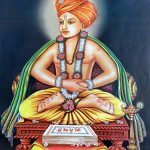 In which state in India, was Sant Kabirdas born? 3. 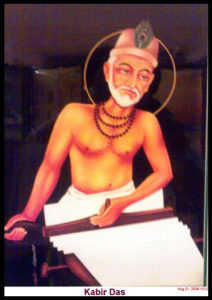 What was the name given to Sant Kabir’s poetic works? 4. Name the home town of Sant Kabirdas. 6. On which river bank did Kabir get the initiation of Rama Nama? 7. In which month was Sant Kabir born? 8. What does the term ‘Kabir’ connote? 10. What does Kabir’s poetic works glorify? 11. Who were Kabir’s parents?